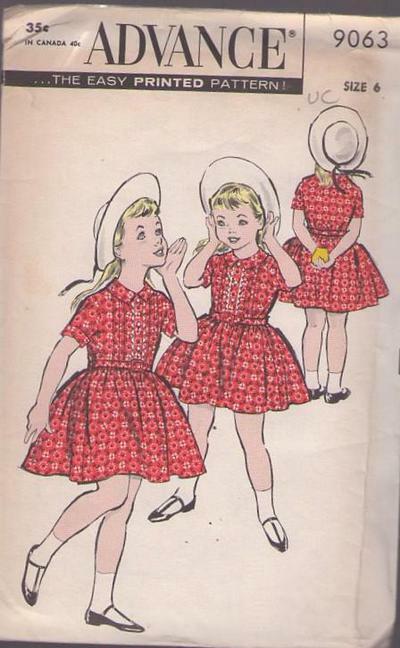 Bust 24", Waist 22", Hips 26"
1957, 50s Children, Retro School Clothing Patterns - Shirtwaist Dress has front buttoned bodice with tucks on either side of front band and a gathered skirt. Sleeves have turned back cuffs. Elastic across back waist.